RenéePiane is not only the best dating coach, she is the best overall consultant I have ever worked with in any field.Renee knows the subject of dating thoroughly – and she knows every subject related to dating. She is at the top of her game. Renée is a master at pinpointing areas in her clients that need attention. She can assess situations with the rapidity of a heat-seeking missile. And although she pulls no punches, she also communicates with dignity and compassion. “Renée is a gift to humanity. She is extremely insightful, intelligent and has an amazing grasp of what men and women need from relationships” and how to heal from your past relationships. She is witty and funny, which makes learning the difficult lessons enjoyable and lasting. I wish I had known about her a long time ago, it would have saved me so much heartache and pain. She has shared her love, compassion, prayers as well as kindness and has taught me to operate out of love rather than fear. My life has been completely transformed because Renée’s classes and coaching. Everyone asks where I get the strength to make some really difficult decisions for my life, and I refer them to Renée. Renée’s advice saved me from staying in a terrible relationship! I thank God for her everyday. Her advice is amazing and direct! I highly recommend Renée if you want real results! Renée has the ability to get straight to the heart of a matter and help you resolve it while building your self esteem. After I got divorced, I was lost and unsure if I wanted love again. After seeing Renee I felt so in control of my life and have a new outlook on love and dating. It changed my entire perspective I am happier now than ever. Call her! She will get you out of that funk that you’re in! Thanks to Renee I am back into my life again and am grateful! I came to meet Renée Piane for pragmatic love guidance. I came to meet Renée Piane for pragmatic love guidance. She genuinely provides tools and advice that have helped me move beyond my blocks, one by one, back to a place of faith. But little did I know that her love principles would readily transfer to assist at a time when I was in need of business advice as well. She is a coach par excellence! So, if you are ready for a unique combination of insight that will have you reconnecting to your authentic self quickly, do not hesitate. 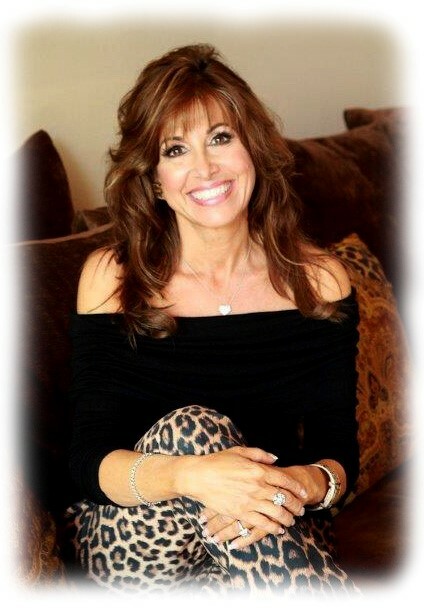 Renée’s true gift is to advise people on what the real issues are without hurting their feelings She offers intuitive insight and a fresh outlook to make dating fun instead of this drama that often leads people to give up on love! Thanks Renee for showing me what my strengths are and how to overcome my weaknesses without beating my self up! You are the best! Renée is truly gifted. Her insight into the human condition comes only from a person with true heart. Would you like to work with Renee? Have a relationship testimonial to share? and leave a voice testimonial for Renee! Renée has truly helped me with my relationship concerns/issues and has uncovered the foundation of all this negativity. She is truly ‘my angel’ and has made me see the light in my darkest times. Renée has shared her techniques, real-life experiences, kind words and prayers with me. I truly believe in myself and know that I will find that special gentleman to share my life with very soon. My days are shining brighter now, thanks to Renée. Thank you so much from the bottom of my heart! Renée made me see the real truth in my relationship and I am free to open my heart again. Anyone going through love challenges should call Renée. She gets to the heart of the matter with her direct get real advice. Thank you for being a real life Angel in my life! Ms. Piane is wonderful. In the quest for love, you first have to love yourself and she will leave you doing just that. I would definitely recommend Renée to anyone going through a divorce and re-entering the dating world. After being married for 15 years, I found myself thrust back into the dating world and was happily dating for a few months. I made some mistakes, so I looked for a dating coach. I called Renée and she helped me to see that loving myself was the first step to bringing love into my life. She showed me how handle my emotions and calmed me during my little ‘freak-outs. Renée taught me so much about how men think and made me a more confident woman in dating and life. I would never have guessed how much I needed her help! Thank you so much for your enthusiasm and your love wisdom. You were SO there for me when I was going through it with my ex and that was some of the most soul-wrenching stuff. Your wisdom stuck with me. You’ve been so amazing to me and I can’t thank you enough for your generosity, caring, coaching and support! Renée Piane helped me come up with a plan to improve my dating life that worked like a charm. Before I met her, I had a lot of potential but no direction. Renee gave me invaluable advice on how to be a more interesting person, make women feel comfortable, and more than anything helped me help myself. Renee knows what women want and she will get right to the point in turning your dating life into gold! Every cent I spent with her was worth it! If I knew someone like Renée 10 years ago, my life would have been so much better. It’s never too late! I really appreciate you being such a sweetheart to me in my coaching session. It makes a big difference in my life since, as an ex-New Yorker, I’m easily misunderstood by the Cali girls. Your listening skills are amazing. Thanks so much for your work.